Audiences were first thrilled with the silver screen portrayal of the young wizard Harry Potter in 2001 with the release of Harry Potter and the Philosopher’s Stone. A decade later the eighth film, Harry Potter and the Deathly Hallows - Part 2 brought the series to a powerful conclusion as the epic battle between good and evil was ultimately decided. This Harry Potter Framed Stamp Set N3153 forms part of this stunning issue that celebrates these spellbinding movies. Are you are looking for more Harry Potter themed products? Here on the Post Office Shop there is a wide range available for purchase, perfect for any avid collectors or someone who wants to start their collection. Please note: The date of issue relates to the official release date by Royal Mail. 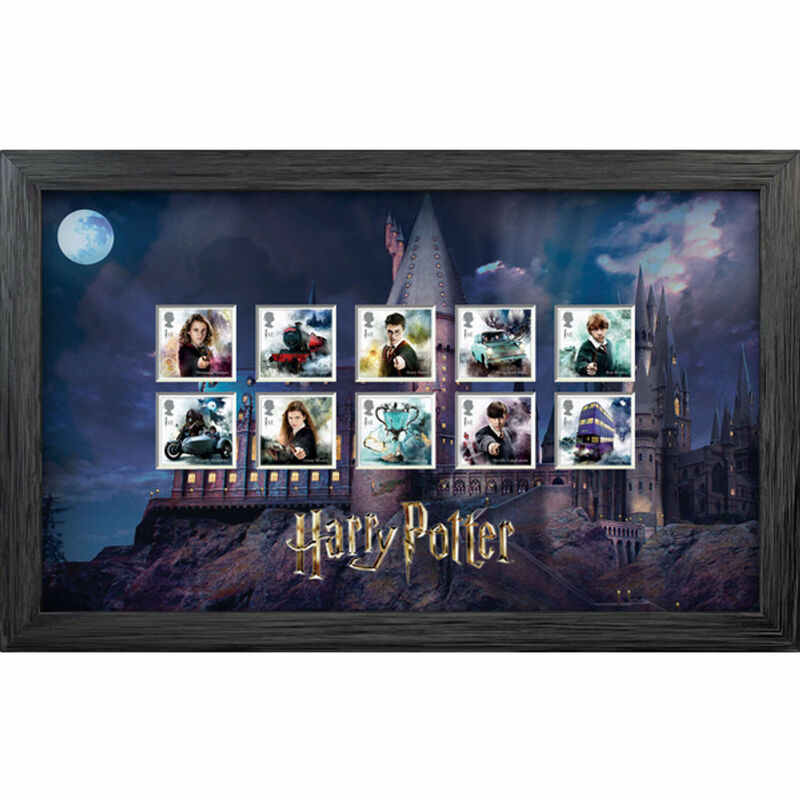 Due to the popularity and high demand for this Harry Potter Framed Stamp Set, dispatch is subject to current stock levels and may be delayed after this date.